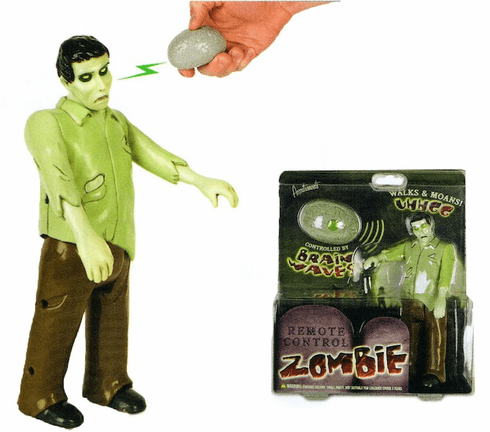 Cause everyone needs a remote control zombie. Plastic. 7 3/4" tall zombie, 2 3/4" long brain-shaped remote. Infrared remote technology; walks and groans! Requires three AAA batteries (not included).